When L.A. is attacked by an enemy from another world, this forces the world into a new world war with humans across the globe coming together to fight off this unwanted pest. With a bunch of freshly recruited U.S. Marines sent to the front lines can they be the ones to turn the war in the favour of Earth. 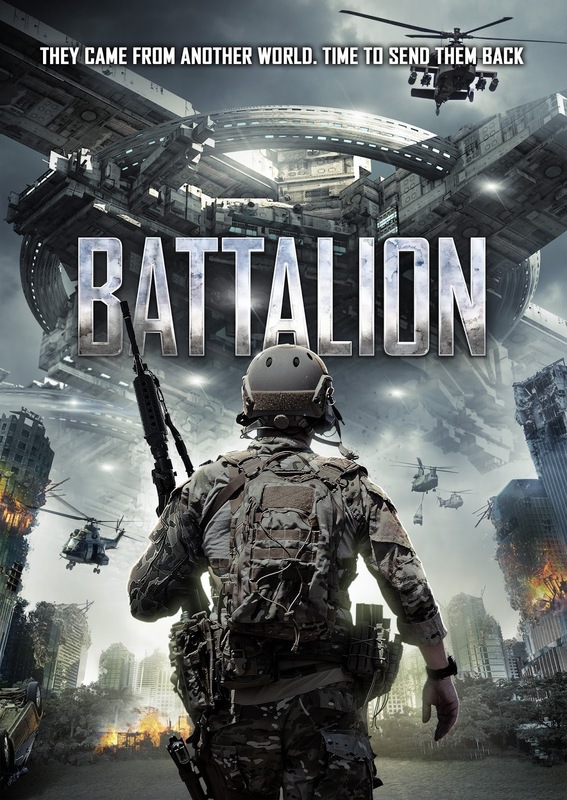 BATTALION is a film that can be seen as obviously inspired by INDEPENDENCE DAY to PACIFIC RIM with just a bit of STARSHIP TROOPERS thrown in. This should surely make this Australian sci-fi a blockbuster hit but it unfortunately is let down by dull characters. Let us also take a look at the title...BATTALION.... now that title alone should see us expecting hundreds of soldiers right? No, we are treated to seven soldiers who are far from the greatest soldiers on Earth yet they will save us all. SFX wise the film is impressive in some parts and in others it resembles the graphics from the first ever Call Of Duty game. For its modest budget the film does have its moments but it is let down by a thin storyline, a love interest angle that is thinner then a strippers G-string and most of all battle scenes that look like they are filmed with people role-playing in their gardens. If you like low budget sci-fi fare like TRANSMORPHERS then this will be right up your street, but those looking for more then a SFX show reel are best to look elsewhere for their alien invasion delights.